Hello friends, today I have a post for Hello Bluebird using the brand new Skating Together stamp set. I also paired it with the Charlie Alpha dies for the sentiment. To start off I stamped out three of the skating images onto some white cardstock and coloured them in with Copic Markers. I then die cut them out using the coordinating dies and set them off to the side. 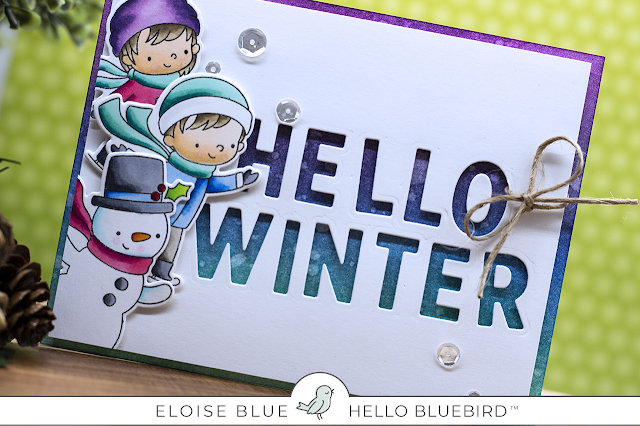 While I had my die cutting machine out I took the Charlie Alpha dies and cut the sentiment 'Hello Winter' from a piece of white cardstock as well. I made sure to keep the inside of the 'O' and 'R' for later use. Next I took a piece of watercolour paper and ink blended some Distress Inks over the entire background. 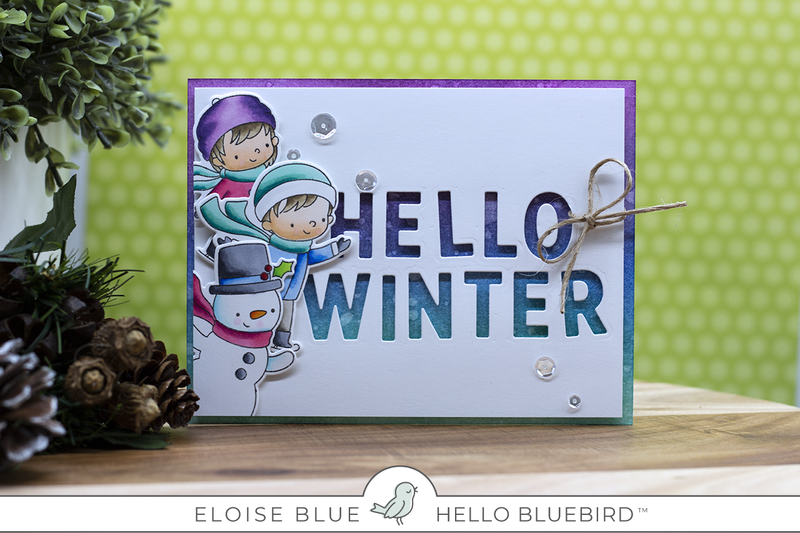 I then added foam tape behind my white die cut panel and adhered it into place over the Distress Inked piece. I also tied a bow through the 'O' with jute twine. I added foam tape to the backs of the middles and adhered them into place as well. Lastly, I added foam tape to the backs of my images, adhered them into place and cut off the excess. 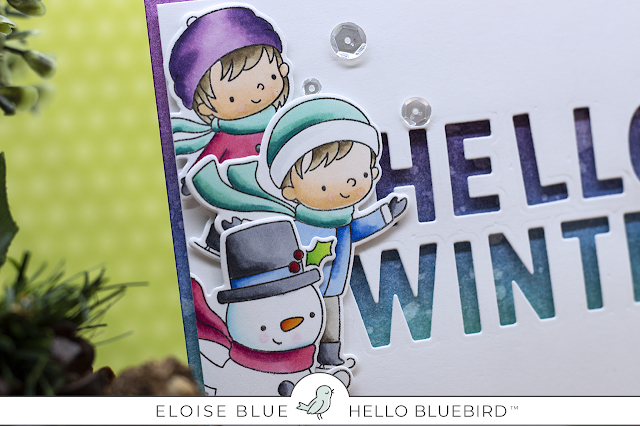 For a last finishing touch I added sequins to the background for a little more sparkle. Thanks for stopping by today, I hope you enjoyed my project today and are loving the brand new release as much as I am.